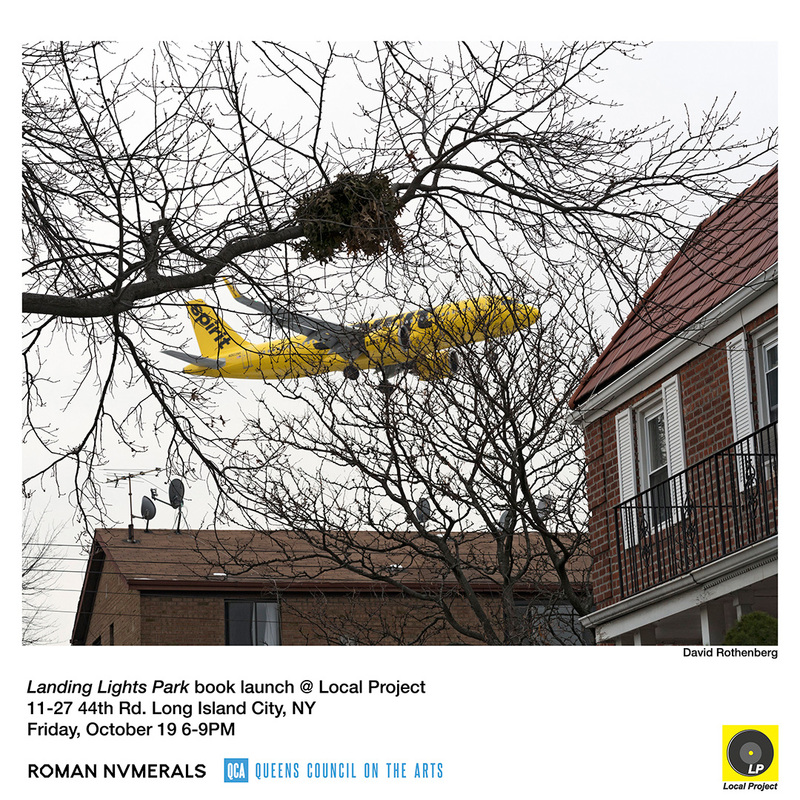 Join us in celebrating the publication of David Rothenberg’s new photography book ‘Landing Lights Park’ made in collaboration with writer Gideon Jacobs. Copies of the book will be available for viewing and for purchase. ‘Landing Lights Park’ focuses on the neighborhood that lies beneath the whining roar and shadows of inbound jetliners landing at New York’s LaGuardia Airport in Queens. Rothenberg’s photographs explore this extraordinary intrusion within a landscape of the ordinary. This event was supported in part by a 2018 Queens Art Fund New Works Grant and by the New York City Department of Cultural Affairs, Greater New York Arts Development Fund. David Rothenberg is a photographer and educator based in Queens. His photographs have been published and written about in The New York Times, Hyperallergic, PDNOnline and featured on The New Yorker Photo Instagram. Gideon Jacobs is a writer who has contributed to The New Yorker, The New York Review of Books, and Bomb Magazine, among others. Previously, he was creative director at the photo cooperative Magnum Photos.